The Ninoy Aquino International Airport (NAIA) has long been known for passenger horror stories, in and outside the airport itself. One of these is the proliferation of taxi drivers over-charging its passengers. It hit again recently with a netizen airing her story on facebook. 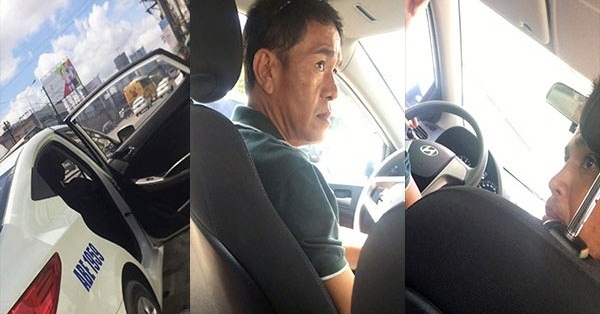 The taxi driver allegedly tried to extort P3,600 from them as payment for their taxi fare from NAIA to Cubao, which was of course, way over. Even from the start, the circumstance had already spelled trouble. They should not have allowed the barker to join them inside. But what we can deduce from their story is that awareness of the situation and alertness on your environment makes a big difference. Smart extorters as they are, they were not a match for these quick thinking netizens. Always see to it that in situations as this, you stay calm and collected. Focus on the situation at hand. Learn to play along. They just want your money. If they feel threatened, you still don’t know what their plan B is and what they’re really capable of. Be aware and alert. Think of a way out of the situation. Like what this netizens did. The ATM idea was brilliant. They had the driver stop where they know they had a better chance of getting help (they saw policemen just near). Also, the netizen airing these publicly on social media has actually helped the others, who had also been a victim of these modus by these same persons. And hopefully, with the evidence at hand, the authorities can be able to track them down and bring them to justice.